Distributors of Rental Harps located in North Wales providing harps with inclusive insurance at a very competitive monthly rental fee. Fine quality folk lever harps or pedal harps located at our new North Wales Harp Rental Centre. We are a newly established harp rental company offering a warm honest friendly trustworthy bilingual service. 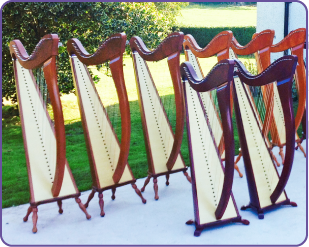 We believe we are the first independent company within North Wales to rent and provide a harp agency renting your unused harps. Any telephone or email enquiries are happily dealt with and you are welcome to book an appointment so we can give you our undivided attention and care. Among our personal stock of harps we have 34 String Camac Folk Lever Harps available to rent on a long or short term basis to suit your needs. We will also happily rent your unused harps for you. 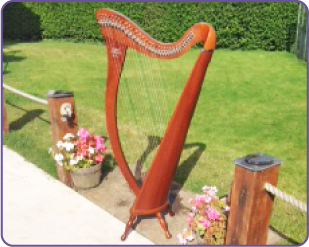 We will find a suitable client should you want to rent your own harp on a short or long term basis. We simply aim to assure our perspective customers, the general public and tutors have an allocation of harps to suit their tailored needs. We assist in allocation, insurance and contracts. We recognise children’s needs differ and teenage or university academic paths might echo in your child ceasing harps lessons and you may have an unused pedal or lever harp which could potentially generate an income for you and safely returned to you as and when you want it returned to your household. This extra income could prove to be useful! There is a great demand for lever and pedal harps alike. We are aware and respect that some harp tutors, music schools may have an allocation of their own harps to rent out to their pupils and perhaps a tutor may have some unrented harps which are dormant and therefore, again, we wish to liaise and welcome working with harp tutors to happily network with them ensuring we find or may have awaiting an enthusiastic client whom would gratefully rent your harps. Indeed as with many tutors, your students may of course need a rental harp. Clearly we deal with harp tutors, music schools and any public or parental enquiries. We welcome any new enquiries and ensure our customer care values reflect in the service you will experience ensuring excellent working relationship which is our long term business strategy. We are located in a central area of North Wales, within minutes of Abergele, just off the A55. See our contact page. We are a family owned business and understand the needs of harpists and well placed to advise on choice and suitability for you or your child. Our pinnacle and aim is to ensure each and every child who decides to participate in studying the harp has easy access to a harp. 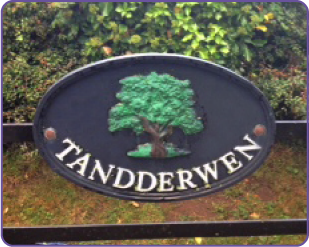 We feel Telynau Tandderwen Harps, harp rental service provides you the consumer with an easy, accessible and affordable method of ensuring you or your child has a harp at home enabling guaranteed productivity, good progress and development. We are aware many harp teachers welcome this new business and we look forward to working with them and recognise greatly their needs and wish to thank all who helped us to set up this exciting venture.